Any property needs maintenance. It can vary from general maintenance to emergency repairs. It is important to know the right repair service providers to have an efficient and a cost effective solution. This webpage is dedicated to provide information regarding which companies/firms can be contacted to have a certain kind of repair done. In case you are on Rent, you need to get in touch with the owner of the house. 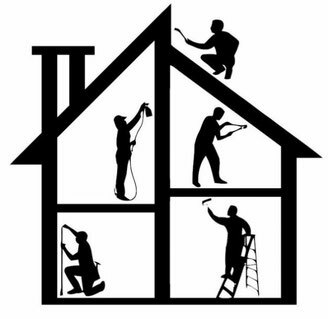 It is house owner's responsibility to arrange the repair service. In case you own the property (like a flat) where there is a common care taker, we recommend to first consider to get in touch with the care taker/his firm. In case you own an independent house and you need to find the right solution to the problem in household then consider to get in touch with following firms. NOTE: Apna Frankfurt is in no ways responsible for any kind of problem experienced from these service providers. Hence, please ask for details of the Service and engage the company for any kind of repair/service if the conditions are OK for you. For more details, visit website helpling.de or use the link on the right. Contact us and share more information regarding other house maintenance services so that all of us can profit from the information here!